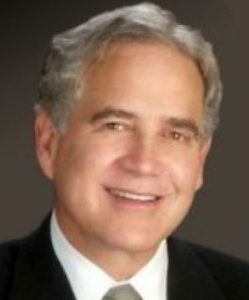 Stephen A. Goldstein M.D., F.A.C.S was born in Spartanburg, South Carolina and raised in Nashville, TN. He was awarded an academic scholarship to the University of Tampa, receiving a B.S. degree in chemistry and was a recipient of the Borden Academic Prize. He did research at Chicago Argonne National Laboratory in biochemistry and biophysics. He received his M.D. from the University of TN College of Medicine and completed his General Surgery and Plastic Surgery Residency at Brown University in Providence, Rhode Island. Stephen Goldstein received an additional year of fellowship training in the field of microvascular and hand surgery at the University of Pittsburgh. In 1985, Stephen Goldstein moved to Denver and established a private practice specializing in plastic, reconstructive and cosmetic surgery. Dr. Stephen Goldstein is a fellow of the American College for Surgeons and is board certified by the American Board of Plastic Surgery. He has written academic articles in the field of plastic and cosmetic surgery and was a Clinical Instructor at the University of Colorado Department of Plastic Surgery. He is an active member of numerous professional societies including the highly esteemed American Society for Aesthetic Plastic Surgery (ASAPS).